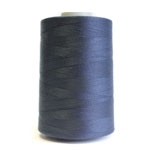 Coats Nylbond is a bonded nylon thread made from pre-stabilised continuous filament nylon 6.6. 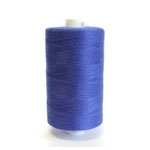 Coats Nylbond cuts cleanly at thread trimming with no ply separation and provides superior abrasion resistance in the sewn product. The proprietary bonding technology yields a tough uniform bond with exceptional peel strength in a soft, supple construction.